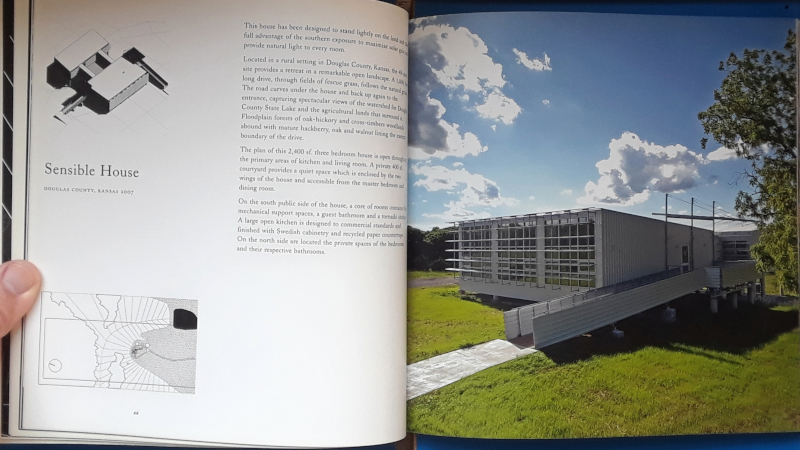 This substantially renewed second edition contains twelve projects from the Kansas architectural practice of Rockhill and Associates, spanning from their early design-build work to the recent completion of a 37-building affordable housing complex in New Mexico. The firm’s work exhibits a keen understanding of the house as an ecosystem, exploring building design that capitalizes on the features of the natural environment. Preface by Christine Macy, essays by Brian Carter and Juhani Pallasmaa, postscript by Tod Williams. 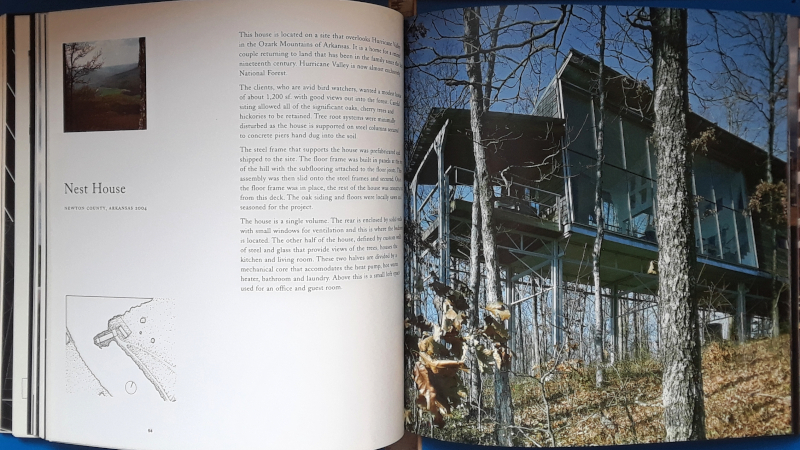 In my review of the new, long-overdue monograph on Studio 804 I mentioned the overlap between the work designed and built by the students at KU and that of the studio’s leader, Dan Rockhill. The shared concerns include sustainability (especially passive heating and cooling), recycling, prefabricated construction, and the fact the architect and the architects-in-training actually build their projects. 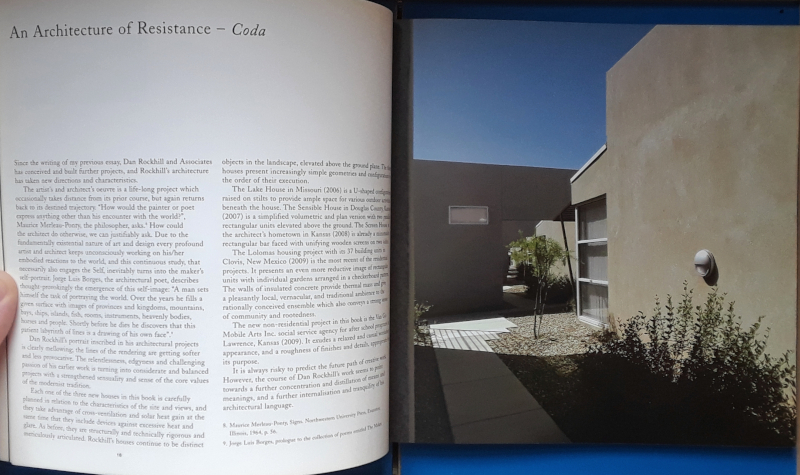 Reading that monograph prompted me to look again at my copy of the monograph on Rockhill & Associates, which was released in 2005 and then expanded in 2011. About half of the latter’s twelve projects were completed since the publication of the first edition. Most of the newer buildings, like the older ones, are in Eastern Kansas (Rockhill and Studio 804 are based in Lawrence), but the most recent project, Lolomas, is way out in New Mexico and sees Rockhill extending his skills from single-family houses to multi-family housing and showing his ability to learn from vernacular building in different contexts. 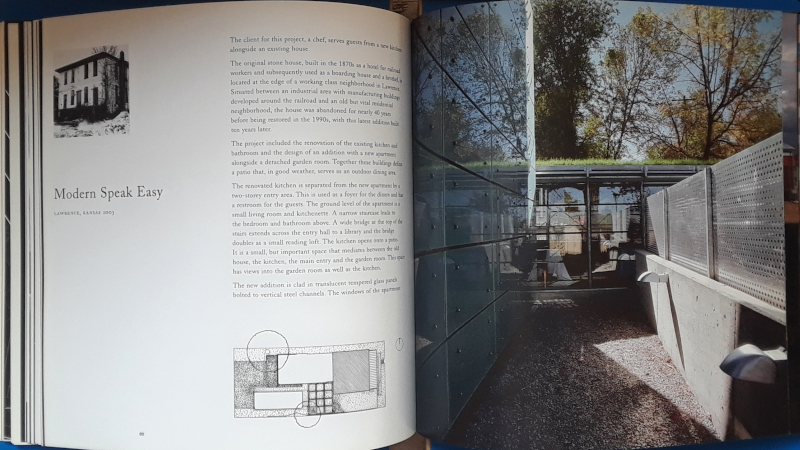 Although far too many architectural monographs exist merely to promote an architect or firm, the best see the same using the medium to articulate their ideas, thoroughly document their work, and use the self-reflection to refine their design sense moving forward. I sense these idealized traits in the second edition of Designing & Building, which offers much more than is available on Rockhill’s website, both in words and in images (photos and drawings, the latter not found online) and includes essays by Brian Carter and Juhani Pallasmaa (his even updated for the 2011 edition) to further articulate the ideas embedded in Rockhill’s work. Eight years later, I can’t help but wonder if Dalhousie University will produce a third edition, allowing people outside of Eastern Kansas to see what Rockhill has been up to this decade beyond his more high-profile work with Studio 804. 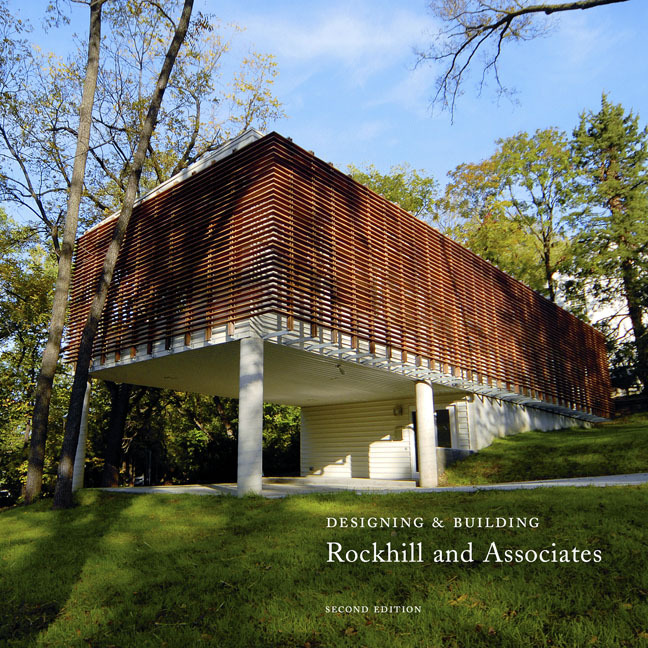 Rockhill and Associates are architects, planners, developers, furniture makers, preservationists, modernists, teachers, old school master builders. We are interested in design at any scale and level of complexity. We work on anything we find interesting.